The ASUS Zenfone 2 was much talked about during CES 2015, and speculations about pricing, availability, and what variants will be shipped to different countries ran rampant. The wait is over folks, we have the answers right here. Tech and smartphone enthusiasts went wild when the Zenfone 2 was released at this year’s CES, and with good reason. 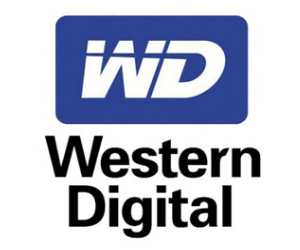 64 bit architecture, 4GB RAM, and other features were all mentioned, as well as lower-tiered variants for less. That meant people of different budget ranges can get their hands on the successor to the popular Zenfone 5. Just recently, the Zenfone 2 launched in Taiwan and with it, information on prices, models, and date of availability were thrown in as well. 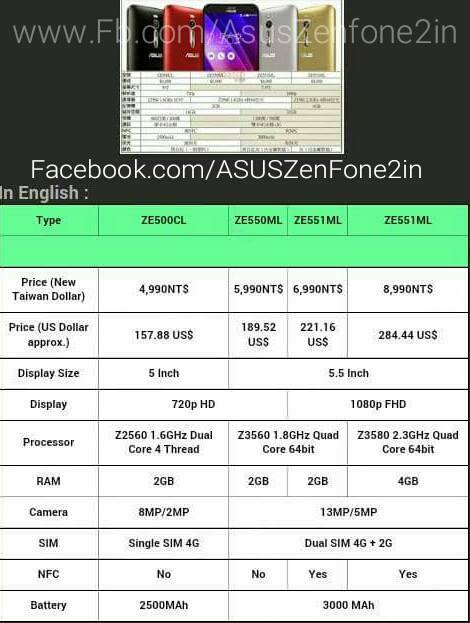 There will be four variants of the Zenfone 2 which will be released in Asia and neighboring regions. The ZE500CL is the cheapest and ‘entry-level’ spec, while the ZE550ML takes a step up in the display size, camera, number of active SIMs, and processor departments. The high-end ZE551ML comes in two variants. The first has a 1.8GHz quad core 64 bit processor and 2GB of RAM while the top of the line variant has a more powerful 2.3GHz quad core 64 bit chip and 4GB RAM. Both have dual SIM capabilities, 5.5 inch 1080p Full HD screens, 13MP back and 5MP front cameras, NFC, and 3,000mAh batteries. For pricing, the Zenfone 2 starts off at P6,983.49 up to P12,581.47 for the highest-spec’d version. Do note that the Philippine Peso prices are directly converted from their Taiwanese counterparts and is not the final price. Due to taxation and other financial factors, final Philippine prices may be slightly higher. And finally, a post on the ASUS Zenfone 2 Facebook page announced the local availability of the units. 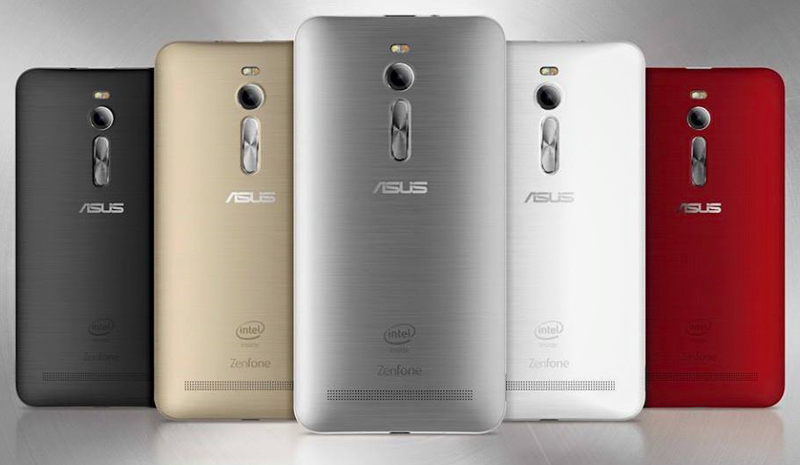 Expect the Zenfone 2 to land on our shores around May/June of this year! Given the specs, pricing, and availability of the Zenfone 2 in the Philippines, what model will you be getting?